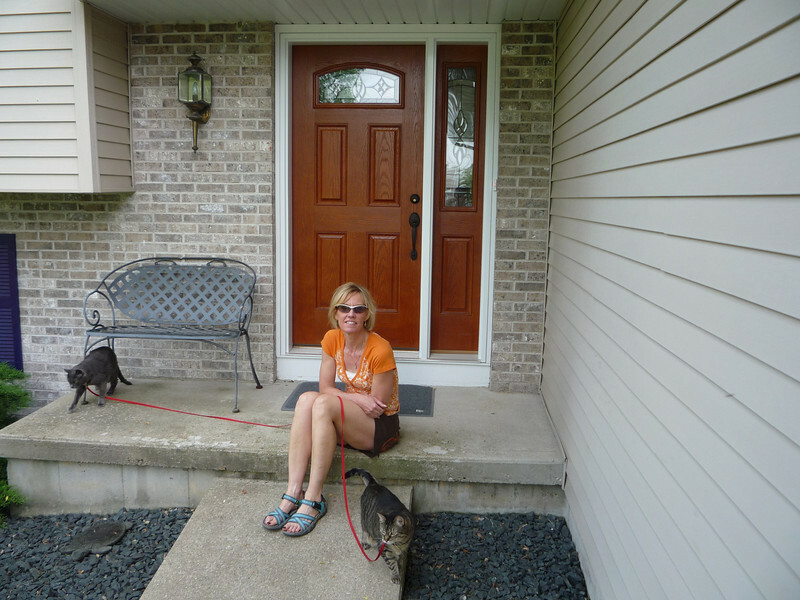 Audrey, Gremlin and Gerald with the new front door. Gerald hates the new front door. We no longer have a storm door and he doesn't have the ability to look out the front door and scan for danger.